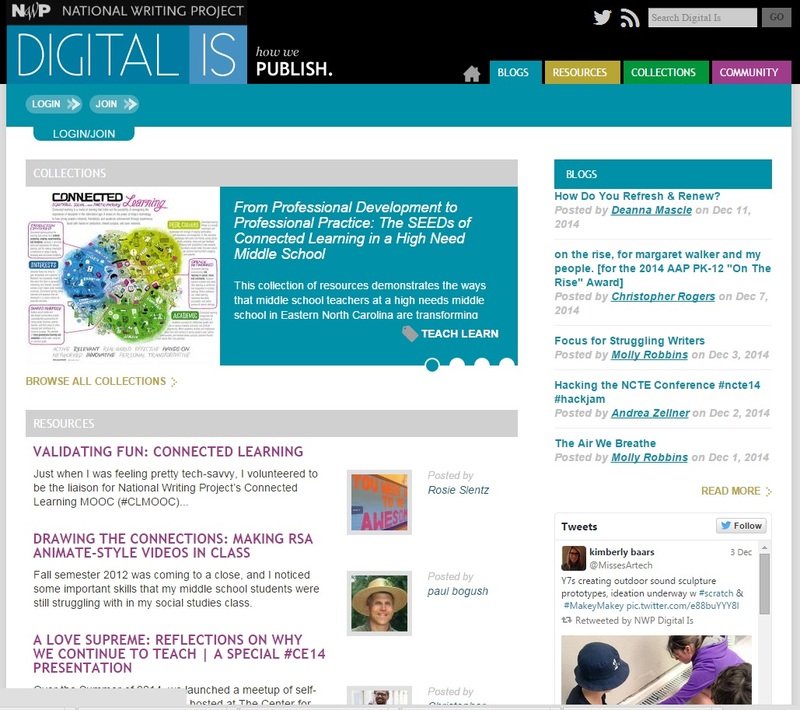 The NWP Digital Is website is an emerging and open knowledge base created and curated by its community of members. 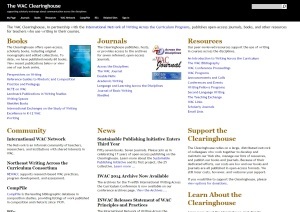 We gather resources, collections, reflections, inquiries, and stories about what it means to learn and teach writing in our increasingly digital and interconnected world. With a particular focus on digital literacy and Connected Learning, NWP Digital Is invites all educators (in/out of school, across all levels and disciplines, modes and modalities!) 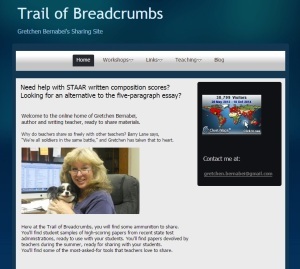 to join and share work, reflections and practices. 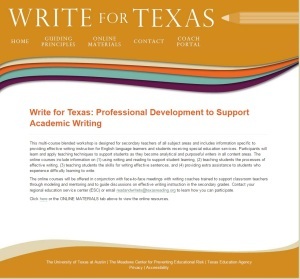 One of many projects going on in NWP sites is the NWP College-Ready Writers Program, in partnership with 44 rural school districts. Check out information about this project here. Another ongoing project is the Teacher Leadership Development project. Check out information about this here. This multi-course blended workshop is designed for secondary teachers of all subject areas and includes information specific to providing effective writing instruction for English language learners and students receiving special education services. 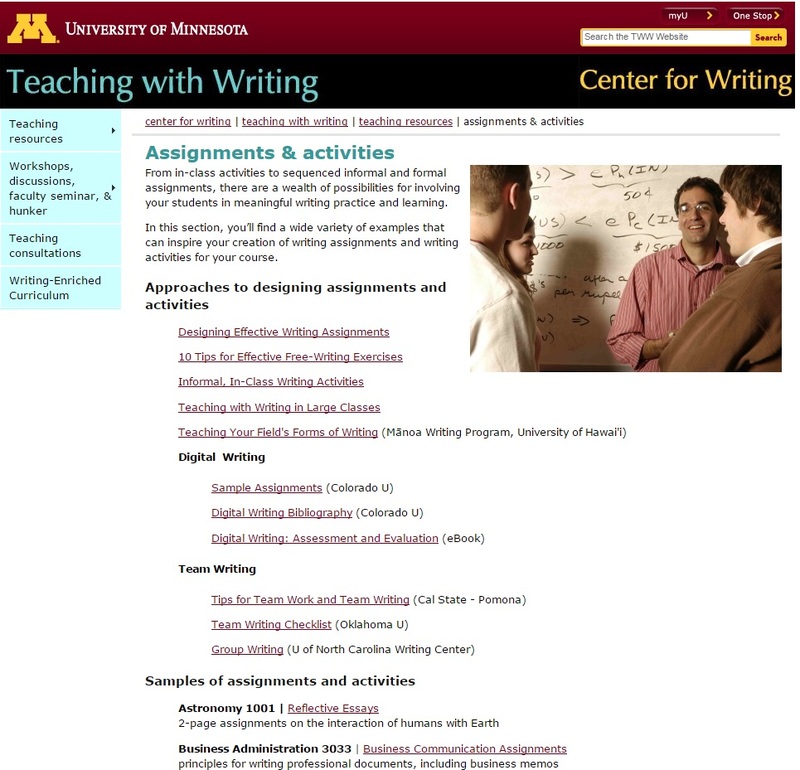 Participants will learn and apply teaching techniques to support students as they become analytical and purposeful writers in all content areas. 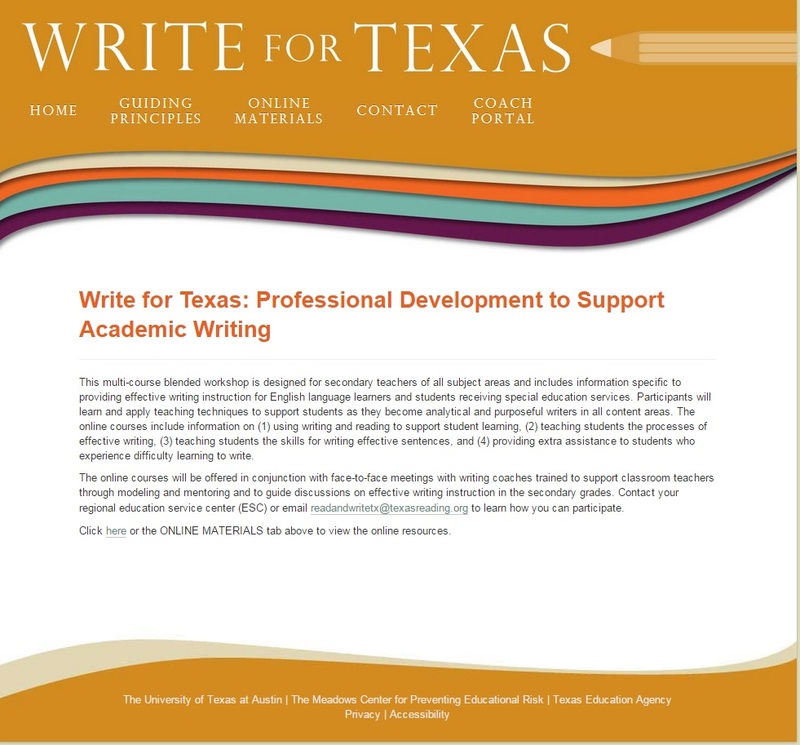 The online courses include information on (1) using writing and reading to support student learning, (2) teaching students the processes of effective writing, (3) teaching students the skills for writing effective sentences, and (4) providing extra assistance to students who experience difficulty learning to write. There are some remarkable efforts underway in American schools to invest the next generation of students with the literacy skills needed to innovate, solve problems, and meet unprecedented challenges. Until now, there has been no way to connect these initiatives, to provide models for advancing literacy learning in every subject, to collaborate in identifying and pursuing critical research questions about literacy teaching and learning on a consistent, sustained basis. 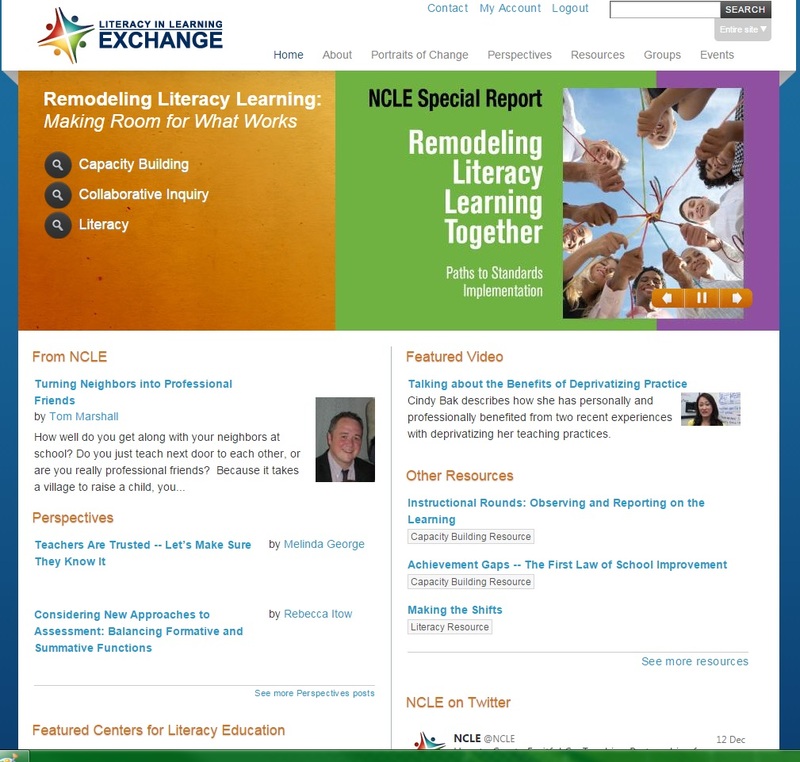 The National Center for Literacy Education (NCLE) is a coalition of stakeholders representing the premiere education organizations, policy analysts, researchers, and foundations who are working together to identify and share the plans, practices, support systems, and assessments used by educator teams working to improve literacy learning. 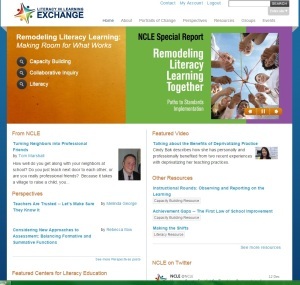 NCLE celebrates the work of successful school teams across the country that are achieving remarkable results in advancing literacy learning, and shares what is learned with education policymakers. Check out the many offerings on their website! The Emerging Vision – What is HSD? The world is getting smaller every day, but its issues seem to become larger and more complex with each breath we take. It can feel like the chaos is bigger than you are. 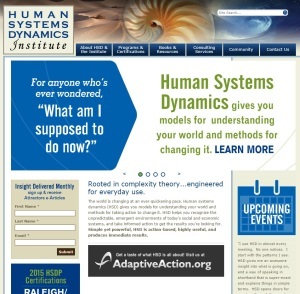 Human systems dynamics (HSD) gives you models for understanding your world and methods for taking action to change it. 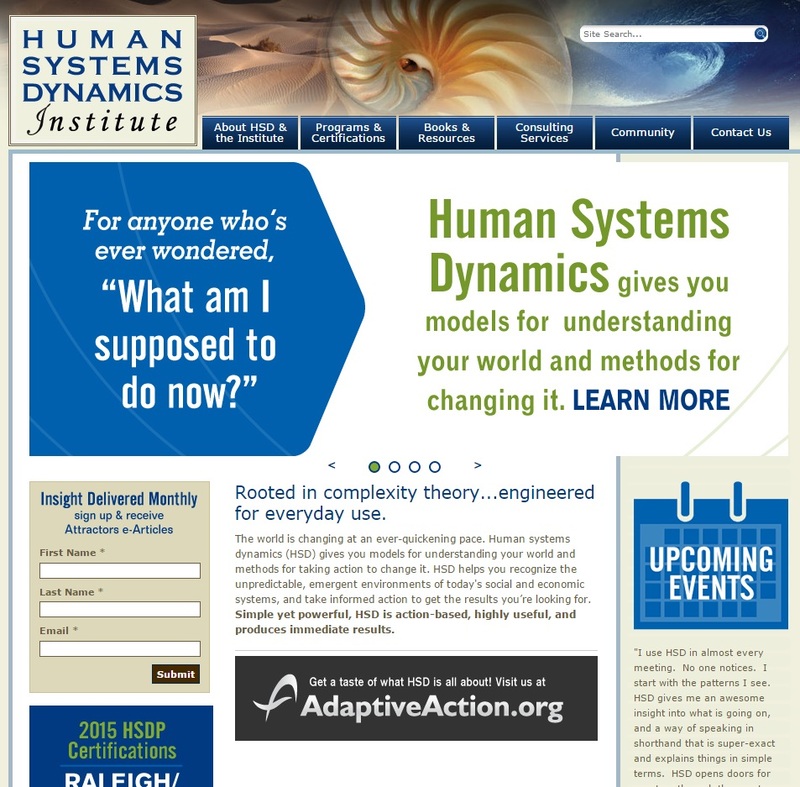 Based on chaos and complexity theory, HSD goes beyond the traditional models and recognizes the unpredictable, emergent environments of today’s social and economic systems. Using insights from the physical, mathematical, and computer sciences, HSD helps you see, understand, and influence patterns of behavior and interaction to improve performance in your systems—at work, at home and in community. You learn how to navigate complexity and gain the confidence and insight needed to address your most frustrating issues. 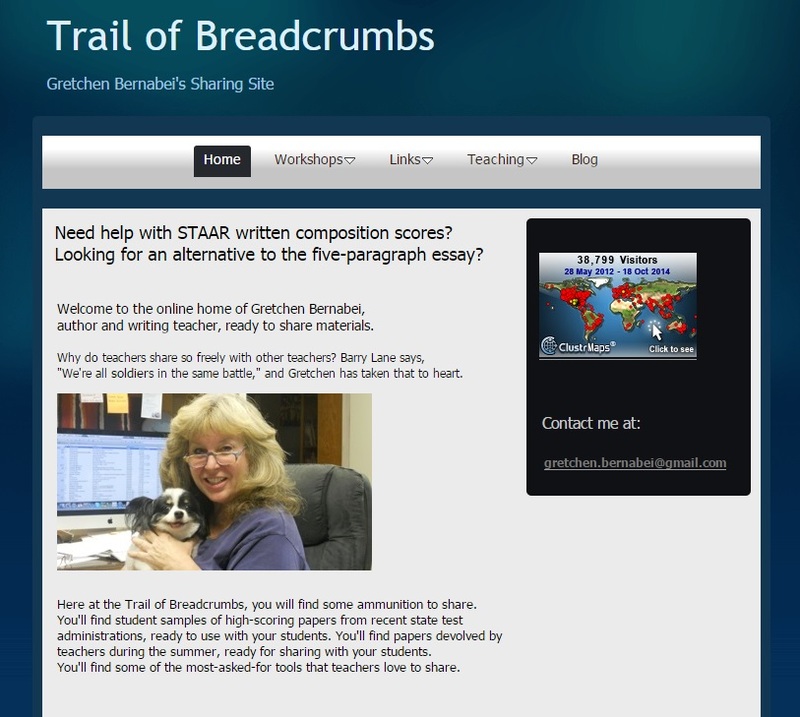 Need help with STAAR? Check out this website. 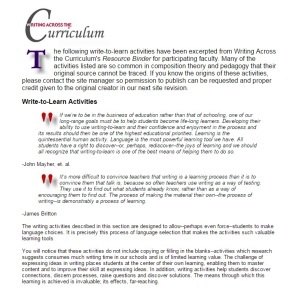 Here is a site with Writing and Rhetorical Guides, Grammar/Style Guides, Essay Basics, Technical/Professional Writing Guides, and Read-Write Guides. 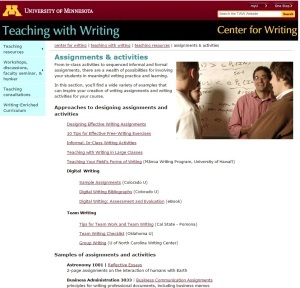 Great resources from the University of Minnesota on teaching with writing with ideas for designing assignments, sample assignments, and support. Ideas for writing across the curriculum along with writing-to-learn activities such as freewriting & focused freewriting, entry slips/exit slips, reader-response writing, sentence/passage springboard, writing definitions to empower the student, student-formulated questions, short summary, group writing activities, dialectical/double entry notebooks, microthemes, answer the question, and clarification/review letters. 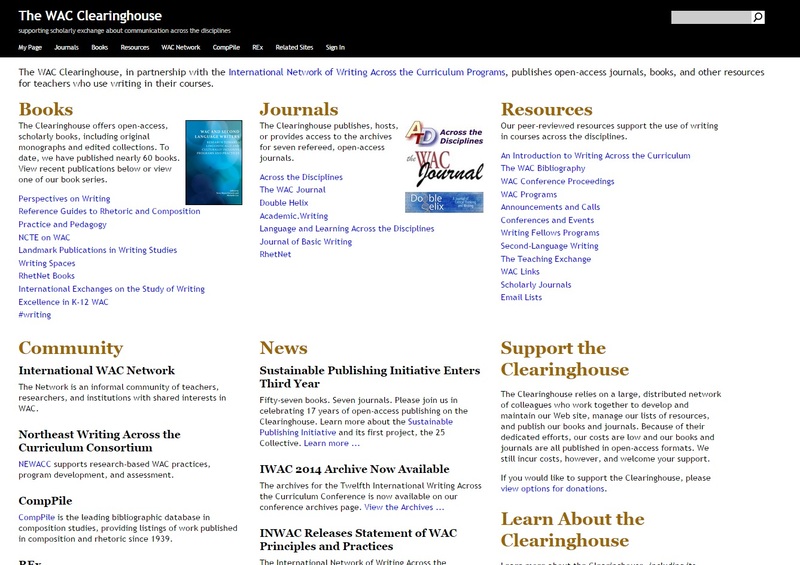 The WAC Clearinghouse, in partnership with the International Network of Writing Across the Curriculum Programs, publishes open-access journals, books, and other resources for teachers who use writing in their courses.